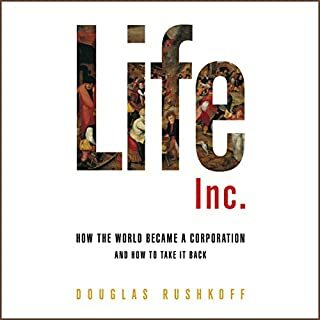 Douglas Rushkoff, in tracing the roots of corporatism from the Renaissance to today, reveals the way it supplanted social interaction and local commerce and came to be regarded as a preexisting condition of our world, from the history of public relations to the relentless gentrification of America's urban neighborhoods. And he shows us how to fight back: how to de-corporatize ourselves, disengage from branded expectations, think locally, and return to the real world of human activity. Scandinavia is the epitome of cool: We fill our homes with Nordic furniture; we envy their humane social welfare system and their healthy outdoor lifestyle; we glut ourselves on their crime fiction. Even their strangely attractive melancholia seems to express a stoic, commonsensical acceptance of life's vicissitudes. 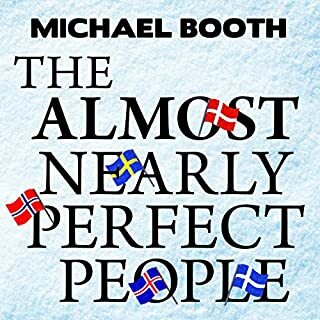 But how valid is this outsider's view of Scandinavia, and how accurate is our picture of life in Scandinavia today? Liberals worldwide invoke Scandinavia as a promised land of equality, while most conservatives fear it as a hotbed of liberty-threatening socialism. But the left and right can usually agree on one thing: that the Nordic system is impossible to replicate elsewhere. The US and UK are too big, or too individualistic, or too - something. Kind of out of Talking Book's ballpark but such a good book. Complex but very approachable. Listen up, because this is legit! Expect a clean, professionally narrated book about economics and social policy but FUN! Loved it and would listen to again. Love that this exists. Wish they would release this on the news. Exactly what people need to hear. Amazing. Can't believe this isn't required reading (or listening). Should be taught in schools. Awesome book! This is something that everyone should hear. Very convincing. 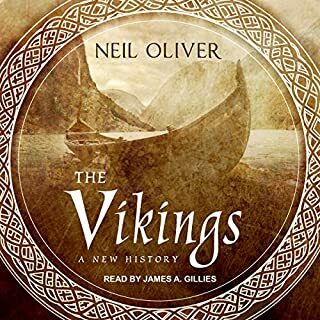 Very well-written and the narration is great! I can't believe this book isn't bigger. If everyone would just listen and work together we'd have this situation on lockdown. So necessary right now. Thanks, Mr. Lakey! What did you love best about Viking Economics:? A very interesting look into the Nordic model of society. 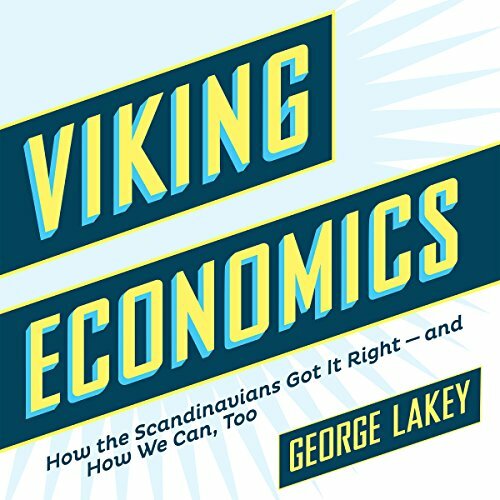 George Lakey breaks down Scandinavian countries in regard to health, income, and over all happiness and he makes a very convincing argument for why we should be taking notes. 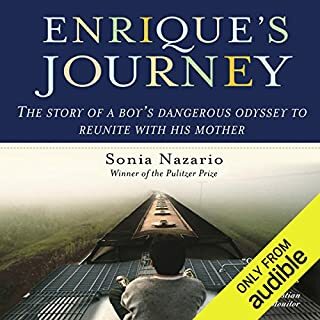 Wonderful audiobook! I recomend this to everyone! So simple and logical. It should be required reading. I plan to read more from this author. This book doesn't really cover economics, if economics is the study of the interchange of currency, goods, and services. Rather, it's a look at the historical and social conditions that have led to the economic systems now in effect in Scandinavia. It does include comparative statistics (e.g., amount of innovation in Scandinavia versus North America), but it doesn't go into the details of specific economic questions. For that reason, the book will probably be of more interest to the layman than the economics student. 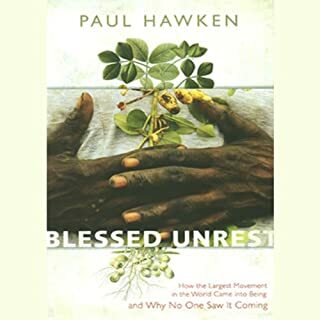 Basically, the book makes the case that, if the United States were to realign its values around community, as opposed to the individual and profit, then it too could see a rise in the general quality of the life of its citizens, just as Scandinavia has. The reader wasn't bad, but it didn't seem like he could actually affect the Nordic accents he was trying to. Overall very interesting and worthwhile, but not a book of economics per se. George Lakey has something to say. I'd listen to him, America. More of this. More of this. 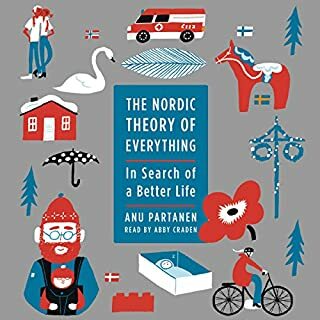 A nice and simple way to see the economic comparisons of the Nordics and the USA, author sounds a little dated but did hold the story together well.